Citi is now calling for a UK hung parliament, just as we did a week ago. But that doesn’t tell us where the UK will be after the election (though many folks simply presume it will be in chaos). Leader of the Labour Party Gordon Brown has not cut the most popular figure in the past few weeks, being labelled a bully for his treatment of fellow co-workers. And if David Cameron, leader of the Conservative Party, fails to win over voters in this election, he will have missed the chance of the “Great Recession” to wrestle back power from Labour. His party may turn against him as some have already accused him of hurting Britain to help his electoral chances. If there is a hung parliament with Labour still holding onto the Prime Minister’s slot, another name may surface as the leader of Britain. 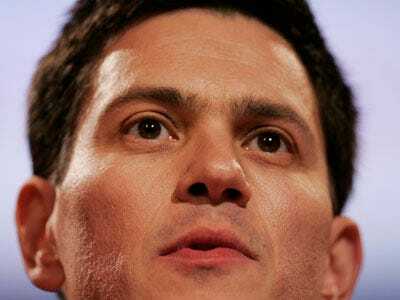 David Miliband, UK Foreign Secretary may be pushed to the forefront and asked to guide a coalition government if a hung parliament does pan out. Miliband has been on the outskirts of a coup attempt on the leadership earlier this year, so clearly he’s gunning for the role. He’s done well as international spokesman for the UK, bringing it back from the brink Blair put it on with the Iraq debacle.